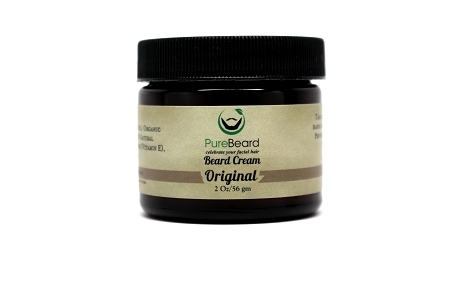 PureBeard Conditioning cream is developed purely for the beard with pure, natural ingredients. 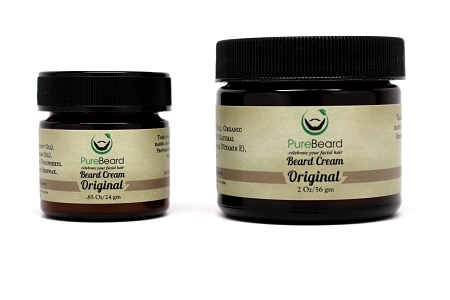 PureBeard Cream moisturizes and softens your beard. Organic Coconut oil and Organic beewax allows light styling, leaving your beard soft and non-greasy. Organic Argan oil naturally condition hair. 100% natural fragrance serves as an aromatherapy aid. Crafted from all natural ingredients. Take a small amount, rub between fingers or hands, and spread through beard or moustache. Provides protection, conditioning, and shine with a pleasant natural scent. For best results use in conjunction with PureBeard Wash and PureBeard Oil. Store in cool place. Note: This product contains all-natural ingredients and no chemical stabilizers which means that the cream can be temperature sensitive. If your product is too hard to use, try soaking the jar in hot water for 5-10 minutes. If it begins to melt or becomes too soft, try placing it in the refrigerator until it hardens. Organic Cocos Nucifera (Coconut Oil), Organic Argania Spinosa (Argan Oil), Unisex Fragrance, d-Alpha Tocopheryl Acetate (Vitamin E), Organic Beeswax.